In what can only be described as a close encounter of the possibly paranormal kind, Sharon recently received an insight into what life may have been like had she achieved good enough grades to follow her first choice of career; that of Astro Physics. Now those of you who know her well will be rather surprised at this choice. I mean, heels on the moon? and, inconsolable, he turned and left. Good career choice for Sharon though….. 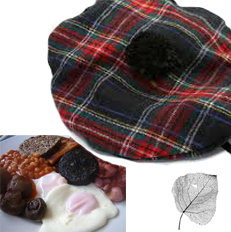 The ICF, Scottish breakfasts, and public speaking week…….. The afternoon session will be a review of BS5837:2012 ‘Trees in relation to demolition, design and construction – recommendations’ in particular protecting trees on development sites and how the process might be improved. Sharon Hosegood (Sharon Hosegood Associates) will present a consultants opinion and Simon Case (North Norfolk District Council) will give observations on the process from a local authority perspective. These two speakers will set the scene for what is hoped to be a lively debate on the subject.